The countdown to the main event begins! 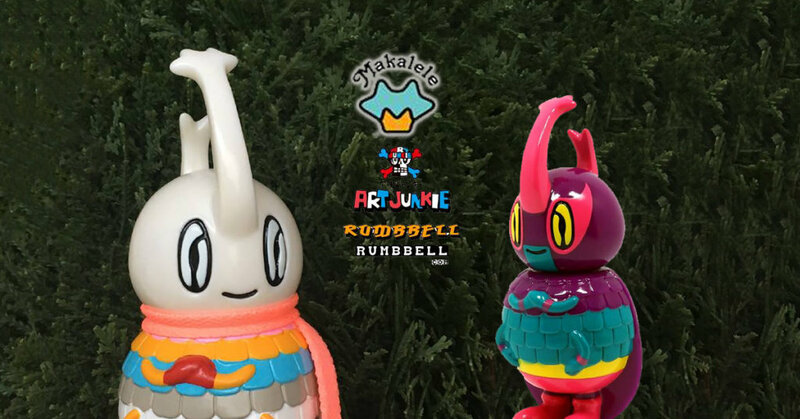 Ryan Lee Rumbbell’s 預訂 Makalele 利尼 has a tag team partner for WonderFestival [Winter] teaming up with Kato San (AJ Kato), Ryan Lee presents two editions of his Makalele. Gold edition was released previously. It will available in limited quantity at WF too. There will be no lotto, First come first serve, there will be lotto after the exhibition via his Instagram for those who can’t make it to the event. 這次因為知道Kato San 是有玩摔角，他自己設計的角色也有很多是摔角手做形，所以這次與他第二次合作就選了他受大家歡迎的配色（AJ colour)及摔角手形象 As Kato San used to be a professional wrestler, he will incorporate them in his design. This is the second collaboration with Kato San, he has chosen one of his popular wrestlers colour (AJ colour) for this release. Find Art Junkie via Instagram and Ryan on Instagram.